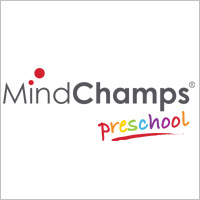 Give your child a good head start in learning during the early years with programmes designed by experts at MindChamps. The cutting-edge curriculum at MindChamps Infant Care, MindChamps PreSchool& MindChamps Chinese PreSchool nurtures all aspects of your child from 2 months to 6 years old, while the MindChamps Reading & Writing programmes instil a love for reading in your child from 3 to 10 years old, and help him/her master the craft of writing. Our unique S.M.I.L.E.S.TM curriculum brings together research and development from the 3 distinct domains of Psychology, Neuroscience and Theatre. Our bilingual curriculum nurtures all aspects of your preschooler’s development, facilitating the transition from preschool to primary school. The acronym S.M.I.L.E.S.TMstands for: Sensory, Motor (Music and Movement), Intellectual, Linguistic, Emotional and Social. It is a principle which acknowledges that brains, in their formative stages, need all aspects of mind stimulated simultaneously – and that all activities (even the most mundane) contain the potential for providing experiences that engage all of the S.M.I.L.E.S.TMelements. Not just a childcare centre for sure, so find out why we might just be the best pre-school for your little Champ!